The crucial midterm elections are rapidly approaching, and it’s more important than ever to know who’s running, what issues are at stake, and how to have your voice heard. At a national level, all 435 seats in the U.S. House of Representatives are contested, and 35 of the 100 Senate seats are also up for grabs. In Illinois itself, there are numerous consequential local races, including for governor, secretary of state and attorney general. Don’t be discouraged by the perception that your single vote doesn’t matter. You, the students, the so-called “youth vote,” hold the key to changing the tides in our society steeped in turmoil. If enough college-aged voters show up in big numbers, our political institutions can be transformed for the better. Here are some resources to help you get out the vote. The traditional voter registration deadline may have just passed, but Illinois voters can still take advantage of grace period registration, which extends registration from its normal close through Election Day. Keep in mind: grace period registration is only available in-person at designated sites. Already registered to vote? Great! If you’re not sure if you are, or want to check where you need to vote on Election Day, I Will Vote sends you to an easy lookup form, no matter in which state you’re registered. 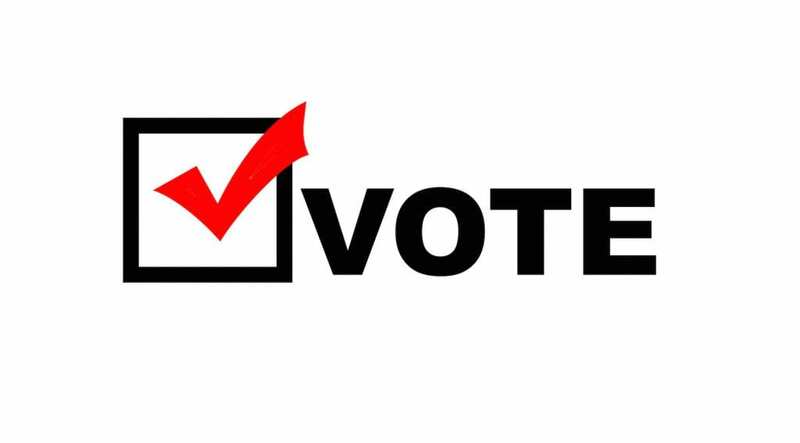 Exploring each political race and making informed decisions about the candidates that share your beliefs on key issues is at the crux of the voting process. Perhaps the best resource for compiling every relevant race in one place is BallotReady. 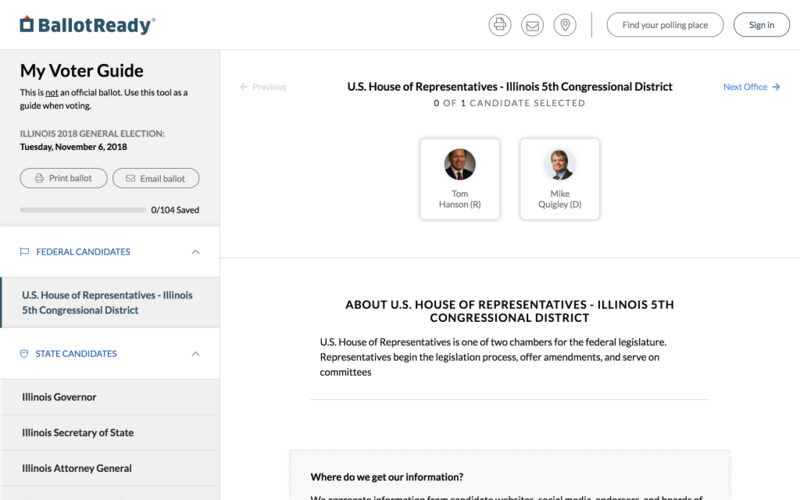 Simply type in your address and every candidate that will appear on your ballot in the voting booth will show up. Once you’ve compared every candidate, and explored every issue and referendum available, you can email or print a copy of your choices for easy reference, then breeze through the ballot box. Volunteer! Yes, voting is the most vital act of civic engagement. But your participation in the political process doesn’t stop there. If you’ve found a candidate you’re really passionate about, volunteer for them! Knock on doors, attend or host events, go on marches — there are plenty of in-person volunteer opportunities in which you can take part. Or, if you’d like to be a bit more behind the scenes, volunteer online by calling, texting or interacting with voters on your own time. Want to dive more in-depth into why the youth vote matters? 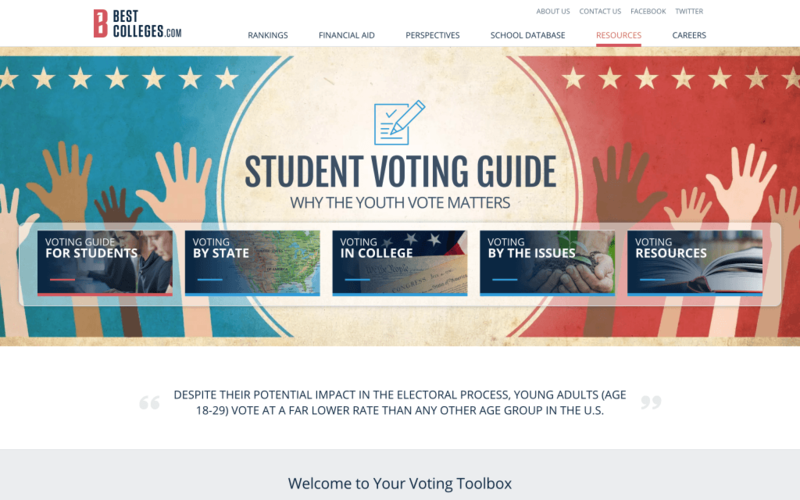 BestColleges.com has a great student voting guide complete with tools that can help you understand the mechanics of voting, how voting in college is affected throughout the country, and how you can promote political and social activism on campus. Be engaged and help the next generation of voters make a difference.